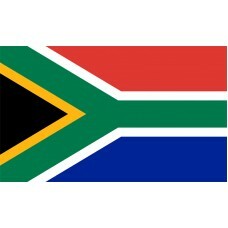 The South Africa Flag consists of the colors red, blue, black, green, gold, and white. It features three horizontal bands, red, green, and blue. The green band splits into a horizontal "Y" (which end at the top right corner and at the bottom left corner) and is bordered by a thin white strip. 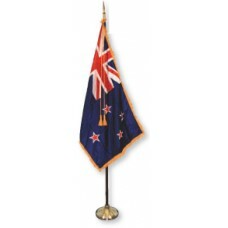 On the left-hand side of the flag is a black isosceles triangle that is bordered with a gold strip. The red color represents the battle fought and blood-shed in the struggle for independence, the green color represents the agriculture and fertility of the land, the blue color represents the sky and the opportunities for the South Africans, the black color represents the natives of South Africa, the white color represents the peace between Africans and Europeans, the gold represents the wealth of the country, and the horizontal "Y" on the South Africa flag represents "the convergence of diverse elements within South African society, taking the road ahead in unity." The flag, as a whole, was designed to represent unity. 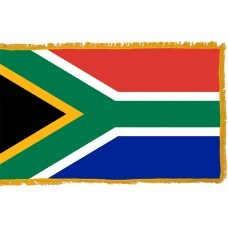 The South Africa flag was adopted on April 27th, 1994 and was designed by Frederick Brownell, following a public competition that was held to design the flag in 1993. 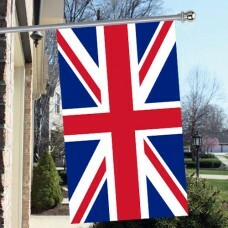 At the time it was introduced, it was the only flag in the world to have six colors. South Africa is the most Southern country in Africa and shares borders with Botswana, Mozambique, Namibia, Swaziland, and Zimbabwe. The country has three capital cities, which are Cape Town (which is considered to be one of the most beautiful cities in the world), Bloemfontein, and Pretoria. The largest city in the country is Johannesburg. South Africa is also referred to as "Rainbow Nation" due to the many different groups of people and languages that it has. South Africa has over 11 official languages. South Africa was founded in 1652 by the Dutch East India Company's Jan Van Riebeeck. In 1806, it became a part of the British Empire, following the Napoleonic war. In 1867 diamonds were found in South Africa and in 1884, gold was discovered. From this period South Africa had a major increase in its economic growth. In 1948, "Apartheid" was introduced which was a law that separated the different racial groups (the whites from the blacks), for example, the white people were not allowed to marry the black people and certain jobs were only offered to white people. This law remained until 1994, even though South Africa gained independence during this period, on May 31st, 1961 and had become a sovereign state. In 1994, Apartheid had come to an end and, Nelson Mandela (who was in prison for 27 years due to his resistance to Apartheid and the battle he fought) had been elected as the president of South Africa. He became the first black president as well as winning a Nobel Peace Prize in the same year.